Are you interested in knowing more about the chain of command? Chain of command describes the way in which organizations, including the military, religious institutions, corporations, government entities, and universities, traditionally structure their reporting relationships. Reporting relationships refers to an organizational structure in which every employee is placed somewhere on an organizational chart. The employees report to the employee who is listed above them on the organizational chart. When every employee reports to one other employee, decisions and communication are tightly controlled and flow down the chain of command through the organization. This is an intentional, traditional structure for the chain of command in organizations that want to tightly control the dissemination of information and the allocation of power and control. In the traditional chain of command, if you look at relationships pictorially presented on an organizational chart, the President or CEO is the top employee in the chain of command. His or her directly reporting staff occupy the second line of the chart. Their directly reporting staff are shown on the third line and so forth down through the reporting relationships in an organization. At each level of the organization moving down the chain of command, the power to make meaningful decisions is diminished. This hierarchical method for organizing information flow, decision making, power, and authority, assumes that each level of the organization is subordinate to the level to which it reports. Terminology like a subordinate to refer to reporting employees and superior to refer to employees others report to, such as managers, are part of traditional hierarchical language and thinking. They are increasingly not used as a move to more egalitarian workplaces is the norm. The larger organizations are more prone to using this terminology. Command and control are intrinsic in the chain of command within organizations. The further up the chain of command your job is located, the more power, authority, and usually responsibility and accountability, you have. Traditional hierarchical structures have pluses and minuses about how they work in organizations. Clear reporting relationships exist with employees designated who are responsible for communicating information, providing direction, and delegating authority and responsibility. Each employee has one boss thus alleviating the problem of multiple masters and conflicting direction in the chain of command as can be found in a matrix organization where employees can report to multiple bosses. Responsibility and accountability are clearly assigned and each manager has oversight responsibility for a group of employees performing a function. Employees are not confused about whom to go to for resources, assistance, and feedback. A certain simplicity and security exist when you organize people and relationships in a structured, unbending, controlled hierarchical cascade. Chain of command communicates to customers and vendors which employee who is responsible for what decisions in their interaction. Job titles, that define each level of the organization, further communicate authority and responsibility to organizational stakeholders and outsiders. For example, external stakeholders know how much power the title of vice president conveys. Chain of command thinking originated in an industrial age when work involved more rote activities, less information, and communication options were limited, Decision making and authority were clearly placed in the hands of a few individuals at or near the top of an organization chart. Today's organizations experience a plethora of communication options, more intellectually challenging and information-based jobs, and the need for faster decision making. The chain of command, in many ways, impedes these new organizational options and needs. When information is available everywhere, a hierarchical order that ensures the communication of decisions and information needed by various levels of employees is unnecessary to the dissemination of information. The need for flexibility and faster decisions in an agile work environment requires that employees communicate directly with all levels of the organization. Waiting several days for the boss to be available is not acceptable if a customer's need goes unserved or an employee's work is slowed. The employee should be able to talk with his boss's boss or the president or make the decision on his own. If the desire is to develop employees who can immediately respond to a customer need, because customers require immediacy in this fast-paced world, employees must be able to get information immediately and make decisions without oversight to meet customer needs in a timely manner. Jobs are no longer rigidly defined and the current expectation promotes employee empowerment, autonomy, and decision-making authority close to where the need for the decision exists. 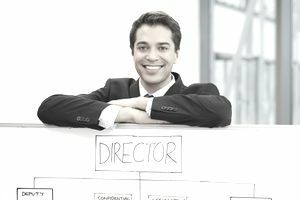 The hierarchical order may still exist for ease of organization and reporting relationships as laid out in a chain of command on an organizational chart. But, the lines and the former rigidity are blurred. In the past, if an employee circumvented his or her boss in favor of talking with the boss's boss, the employee received clear communication that the chain of command was in place for a purpose. While organizations still retain some of its vestiges, the chain of command is much more difficult to enforce when information is so freely circulating and communication is so easy with any member of the organization. The span of control of an individual manager has become broader with more reporting employees than in the past. This change forces the manager to allow more autonomy. Technology has blurred the hierarchy further since information is available all of the time to any employee. Many organizations are experiencing the value of decentralized decision making. Within the concept of the chain of command, position power still plays a role in organizations. It's a bi-product of the traditional hierarchical organization.For example, a quality department supervisor at a small manufacturing company asked to become the quality director in her company. Her stated reason for the change in title was that, if she was a director, people would have to listen to her and do what she wants. This is a young supervisor, who is still learning how to accomplish work through other people, but her perception that a bigger title would solve her problems was troubling. In another example, a new employee was asked to send out a note with a question and a deadline to the Director – VP level managers in her organization. The request sparked an hour of work over a simple note because it was going to the biggest, most important people in the company. Modern management science is exploring other options for organization and customer service delivery in this brave new world. But, in the meantime, even the smallest organizations fall back on traditional chain of command, hierarchical models of organization. The future holds out hope for innovative organizational structures that better emulate the needs of employees, organizations, and the marketplace. The rise in popularity of telework and remote employees, a specific desire for millennial employees, further escalates the need for better management structures. After all, these employees are doing work that you cannot see them doing. But, hierarchical thinking, a chain of command, and attributing power to position and titles still exist. Additionally, you will see the term chain of command referred to in organizations as the hierarchy, pecking order, and position power.